#Exclusive: Sabyasachi Launches His All New Destination Wedding Edit In Association With CN Traveller! 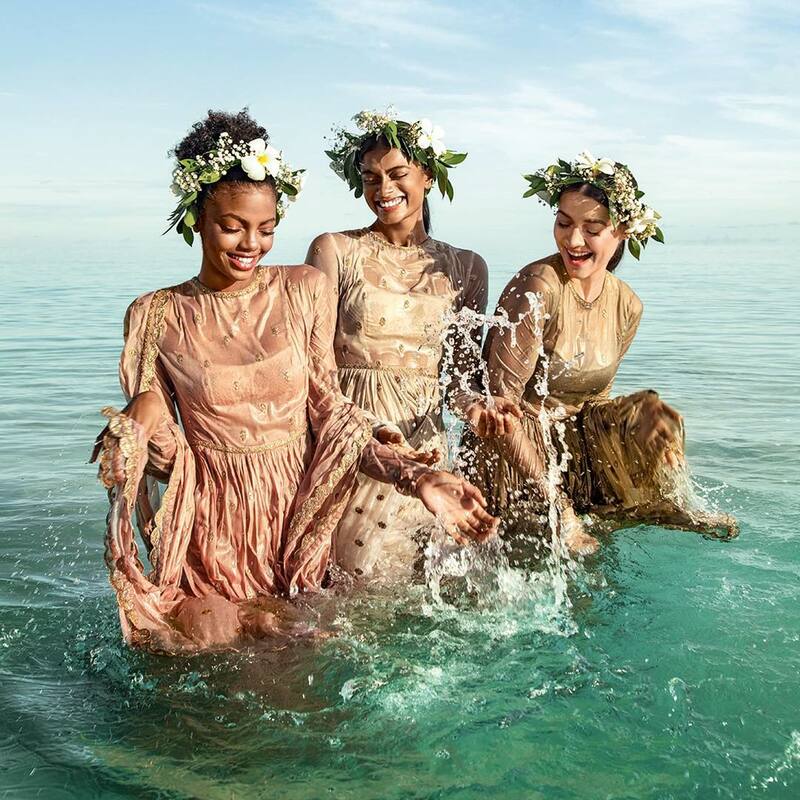 It seems just like yesterday when Sabyasachi launched his new spring summer edit collection 2019 on Instagram. 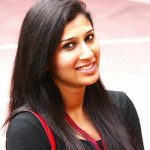 And, when we just thought that it couldn’t get any better, Sabyasachi gave us yet another exciting trend. 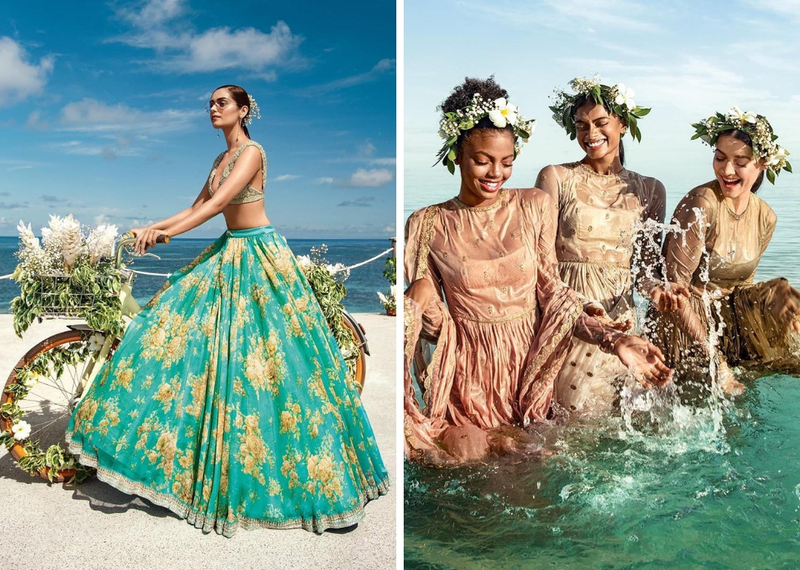 The bespoke designer collaborated with CN Traveller, India’s best luxury travel portal/magazine to release his latest bridal collection which is all about a luxury destination wedding. And Guess Who Is The Destination Wedding Bride Of The Year 2019? Nobody else could have been a better choice than our Miss World Manushi Chillar. Only this beauty could have given justice to Seychelles, one of the most romantic places on Earth. Loved the way Sabyasachi always surprises us! 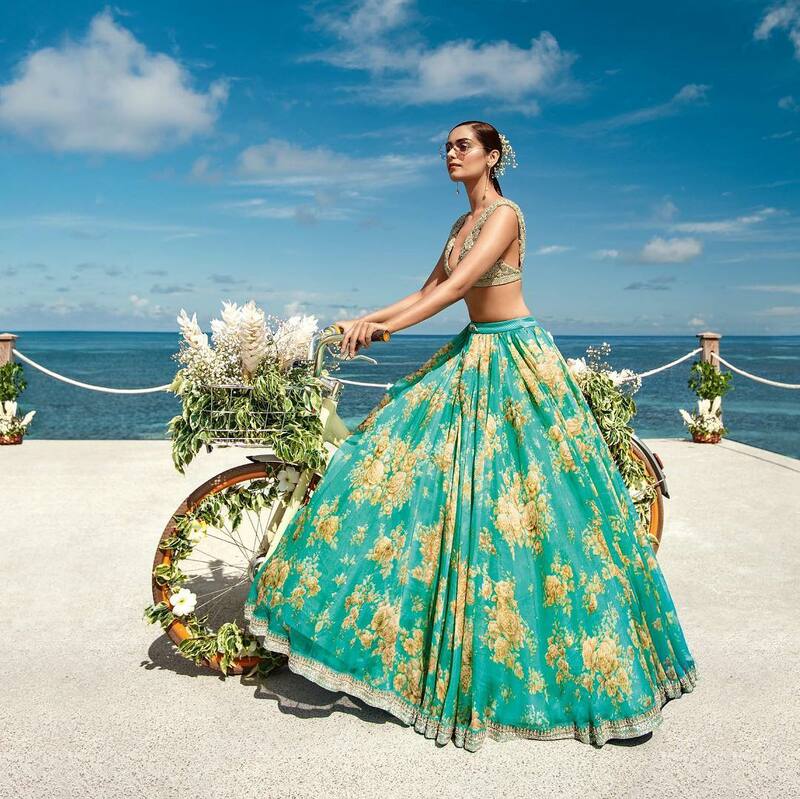 Manushi wore a stunning floral aqua blue lehenga which perfectly complemented the ambiance of the location i.e Four Seasons Resort Seychelles at Desroches Island. Wedding outfits are incomplete without the touch of gold! 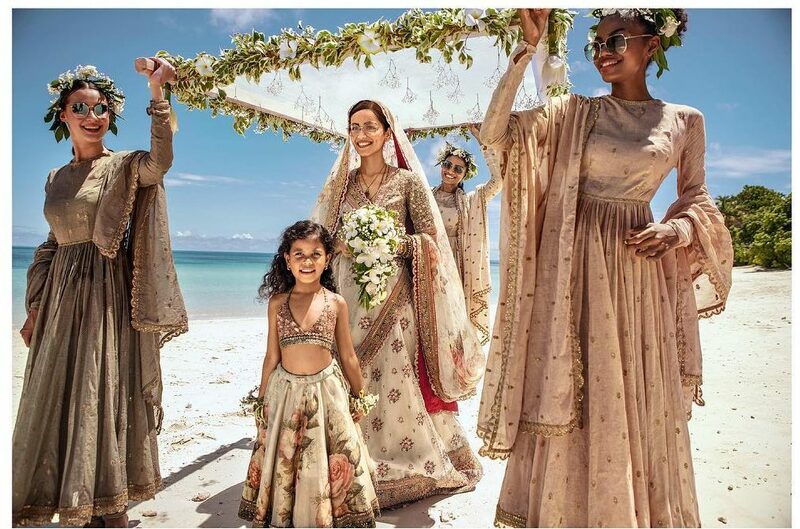 Totally crushing over Sabyasachi’s interesting mix of golden with florals which is going to be the biggest wedding trend of the year 2019. Colour Coordinated Bride And Her Bridesmaids! A bride is just incomplete without her gang of girls on her big day. The designer too believes in the same and brings out the best of his designs with this colour coordinated bride and bridesmaid collection! Yes, you read it right! Did you ever imagine having kids wear collection by Sabyasachi before? Well, dreams do come true as now an entire family can coordinate Sabyasachi outfits and set #sabyasachioutfitgoals like never before! 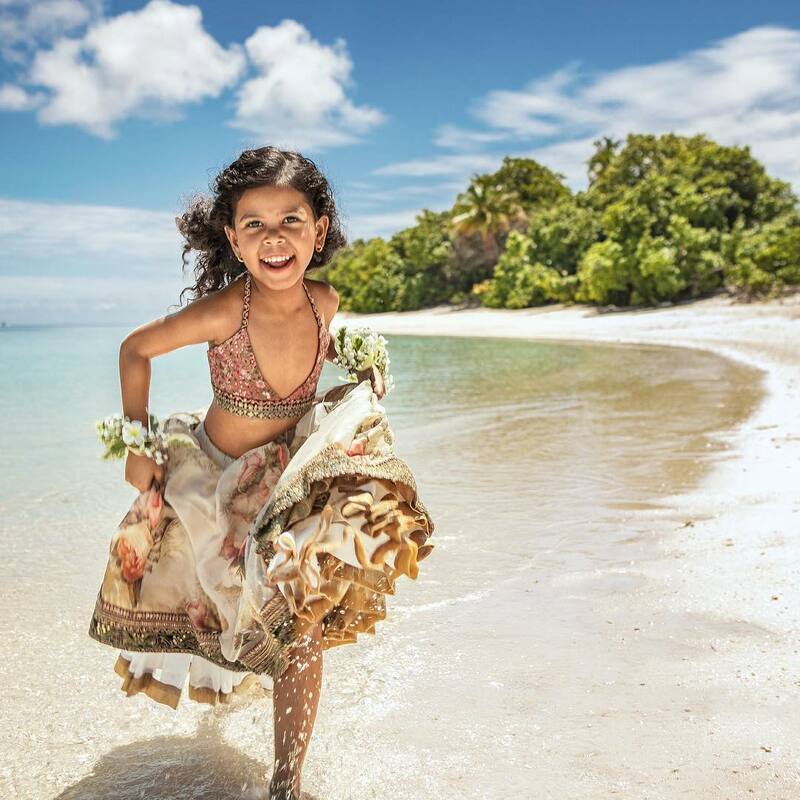 How adorable this little Seychellois flower girl looks! She is really rocking the beautifully embroidered lehenga from the new Destination Wedding edit. We are all excited to know what’s more Sabyasachi has stored in for all of us. With CN traveller by his side, we expect to discover much much newer destinations for a destination wedding. Stay tuned for more! 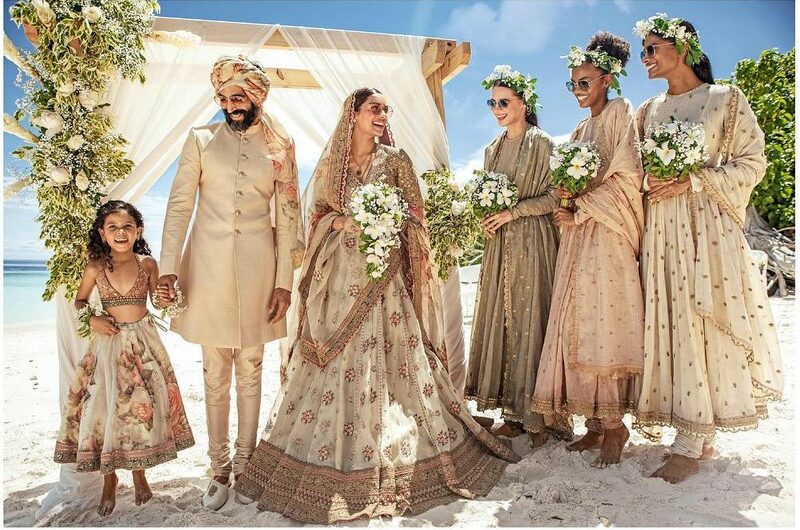 #TrendAlert: Sabyasachi Latest Spring Summer Collection 2019 Is Every Summer Bride’s Goals! This Surreal Sikh Couple In Sabyasachi Outfits Are Goals For Weddings 2019! #Inside Priyanka Chopra And Nick Jonas’s Mumbai Reception! Is Isha Ambani The Next Big Sabyasachi Bride?